Remixes Vol. 1 is the first of several hip-hop remix albums by local Salt Lake City producer LBOWDEEP. The album tastefully remixes a wide variety of artists, from Lil Wayne to Big L and even Mike Jones. The sound quality as a whole is high, and the lyrics of each song are mixed well with the new instrumentations. The samples throughout the album are also enticing and eerily recognizable. 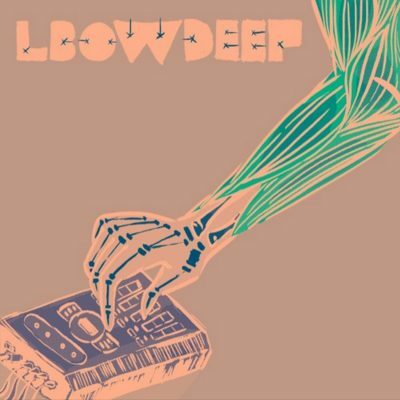 LBOWDEEP uses instruments and samples from countless popular music tracks, leaving the listener wondering, “Where have I heard that sample before?” LBOWDEEP does a great job of maintaining the listener’s interest throughout the volume, and each song is alluring and catchy in its own way. In some songs like “Let Em Lay,” a Lil Wayne remix, and Aaliyah’s “I Am That Somebody,” there is a very chill vibe, and the lyrics work well, propelling the songs forward. At times, the production is less hip-hop—inspired, and LBOWDEEP draws inspiration from down-tempo electronic music. The entire aesthetic of the slower songs on the album adds a whole other level to music that people have heard many times and love. In other songs like “Still Tippin Check,” a remix of Mike Jones, and “Bandwaggin’ Your Friends Laggin,’” a remix of A$AP Rocky, LBOWDEEP creates a sound that is upbeat, relying heavily on minimal, bass-driven trap styles. Other songs on the volume are even more varied, and sound like late-‘90s, East Coast—style rap production. LBOWDEEP is obviously showcasing his skill as a producer as well as his versatility.